This tutorial reviews the process of submitting a new article on your Joomla website. 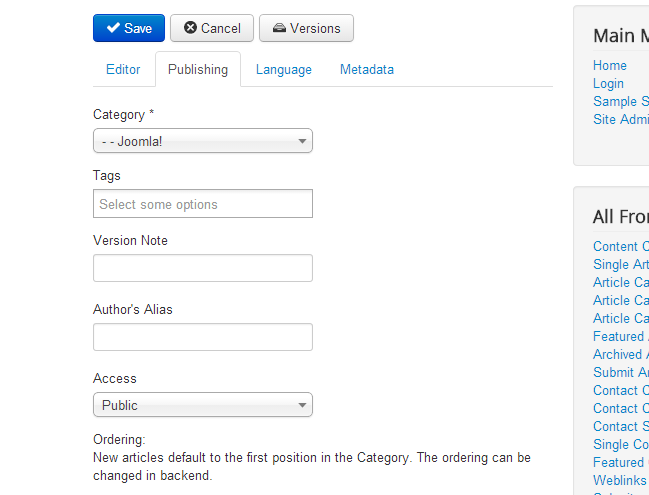 To do so, you or your team members need at least an Editor access to your Joomla installation. For more information on the different types of user groups and how to use them, you can review our tutorial An overview of the different user types in Joomla. Log into your website as an Editor. Locate the User Menu section and click on the Submit an Article. Select each of the available tabs for your new article. 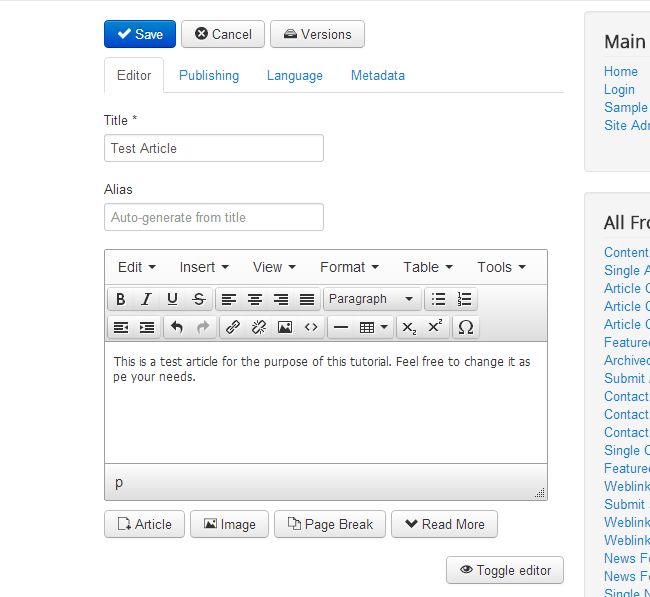 Editor - This tab allows you to edit your new article. Enter a title, body of the new article, different types of multimedia on it, etc. Publishing - This tab allows you to edit the category of your new article, a note for it and the users that can actually view the article after it is approved. Language - Select the language of the new article. If you have a multilingual Joomla website, this feature is quite helpful. 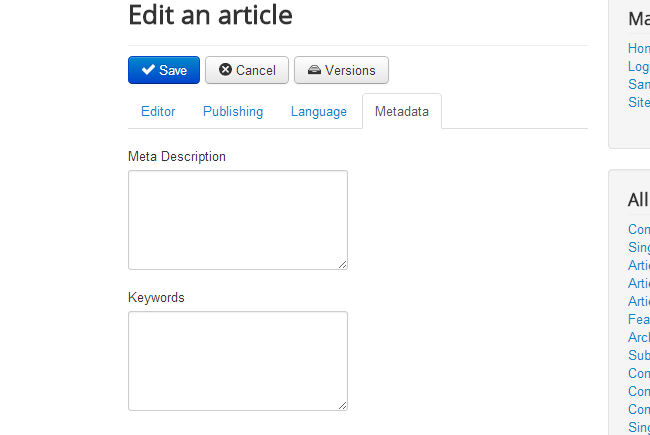 Metadata - Enter the metadata description and keywords for your new article. Click on the Save button to keep the changes and submit the new article.